1) Provide a basic course in watershed management, which will enable the trainee to know the first principles of the science behind watershed development. 2) Provide social skills including leadership, team building, conflict resolution, etc. through games and role playing. We have found that people best learn by observing their peers and by doing rather than listening. We have developed a peer-to-peer training programme that is both practical and experiential. 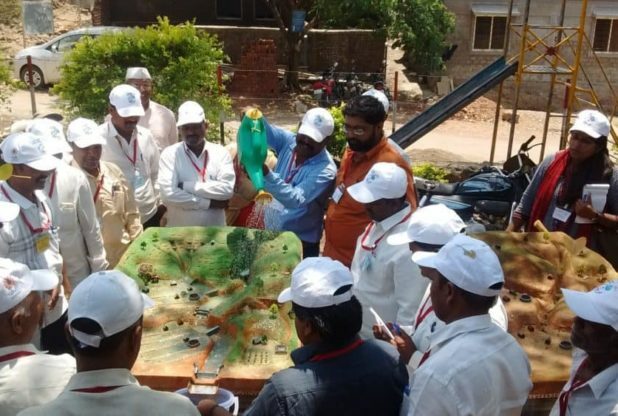 Training is conducted in a village which is water-abundant, often despite being hundreds of kilometres away from canal irrigation, so that trainees can see for themselves the wonders of effective watershed management. Activities are designed to compete for the attention of the trainee as fiercely as one would for the attention of a TV audience, with role-play and games making the process an emotional experience that educates. There is both technical training as well as social training in which the trainees are invited to grapple with situations that – as in life – are not easy to resolve. Our social training games are also designed to sensitise trainees to concepts like inter-generational equity in access to water, treating water as a shared or community resource and village-level plans for the use of water. 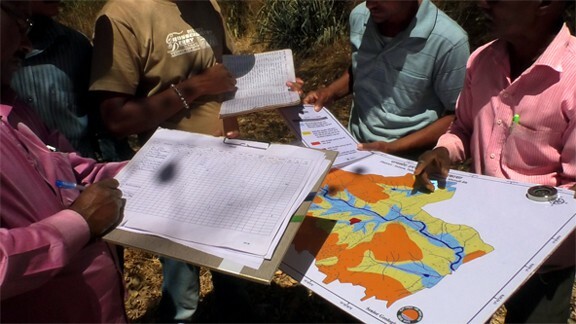 Villagers go away with an introduction to the science of watershed management. However, more complex skills like engineering design and site-selection are taught using supplementary audio-visual and print material that are provided to trainees free of cost. Trainees must go back and study this material while implementing what they have already learnt for their village’s Water Cup efforts, to become true masters in watershed management. Paani Foundation continues to provide technical help to any village that requires it.